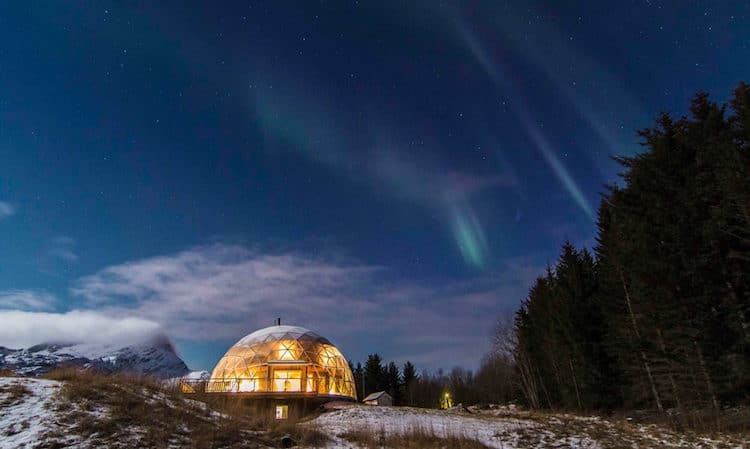 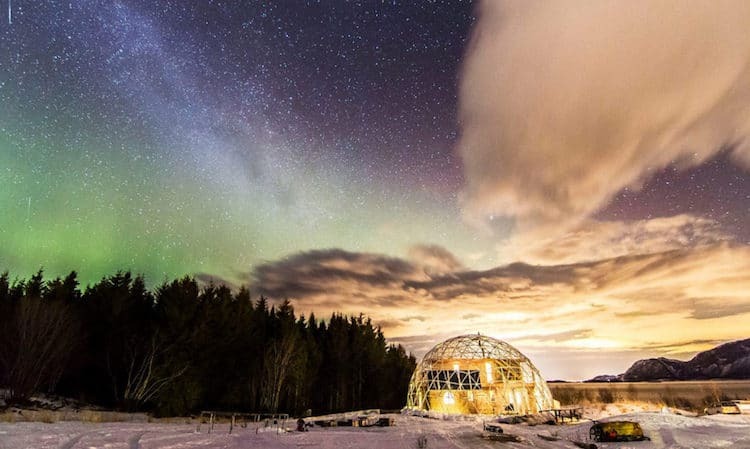 The Arctic Circle conjures up images of extreme weather conditions, but one family has managed to create their own cozy oasis in the far reaches of Norway. 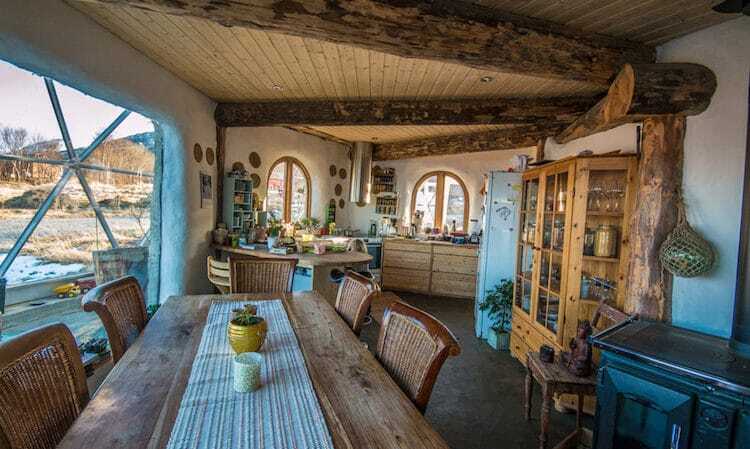 The Hjertefølger family has been living on Norway’s Sandhornøya island, where they started their journey into sustainable living, since 2013. 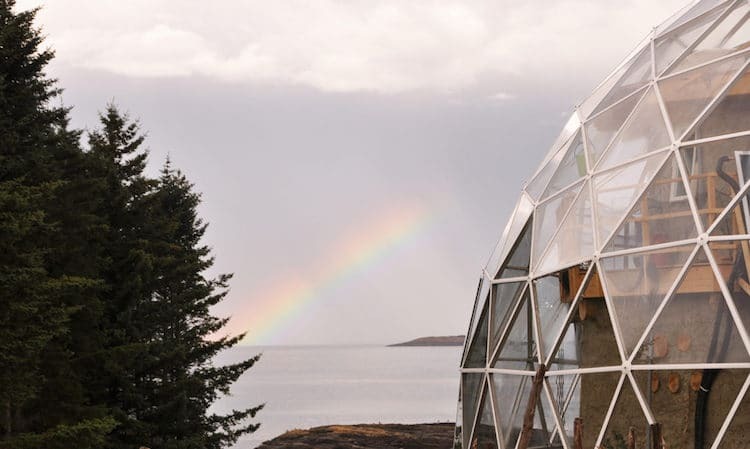 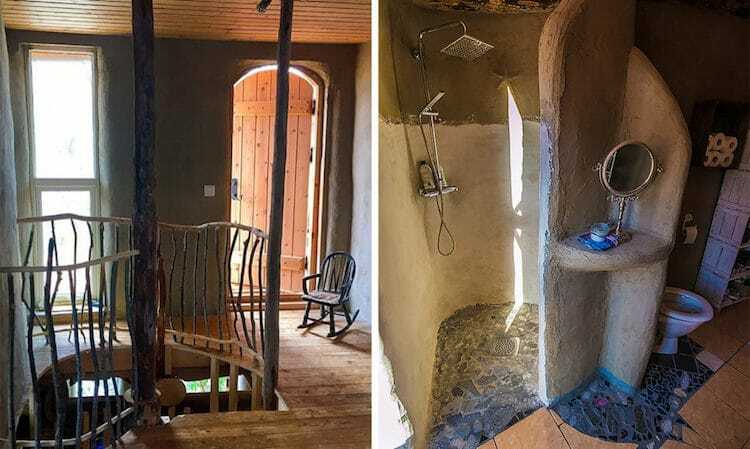 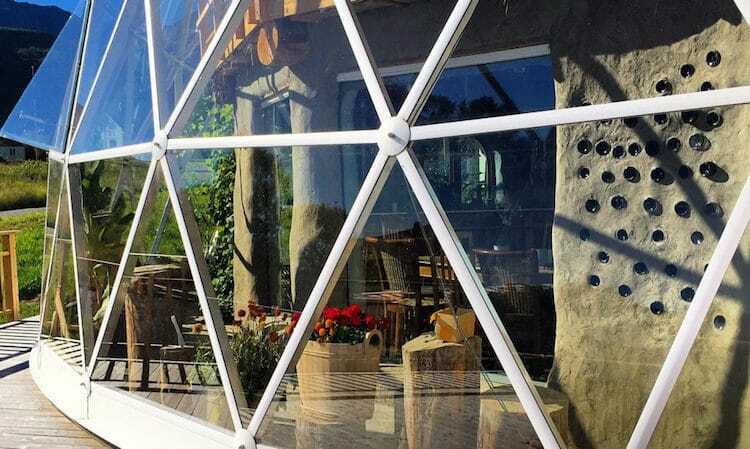 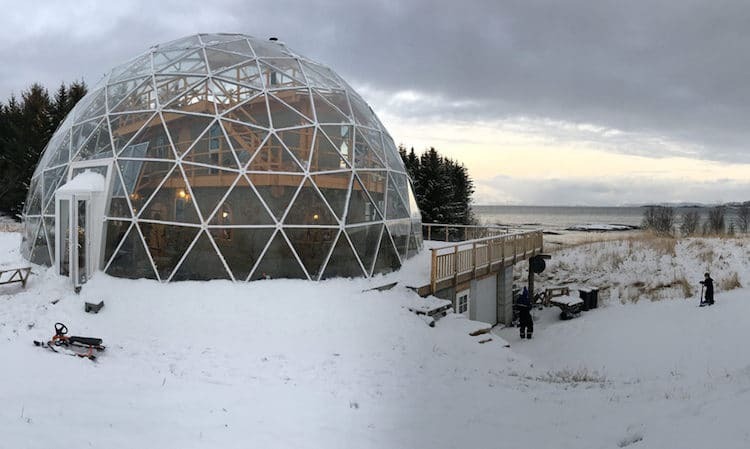 Their three-story cob home—built from sand, water, clay, and other organic materials—is encased in an aesthetically pleasing, and functional, solar geodesic dome by Solardome. 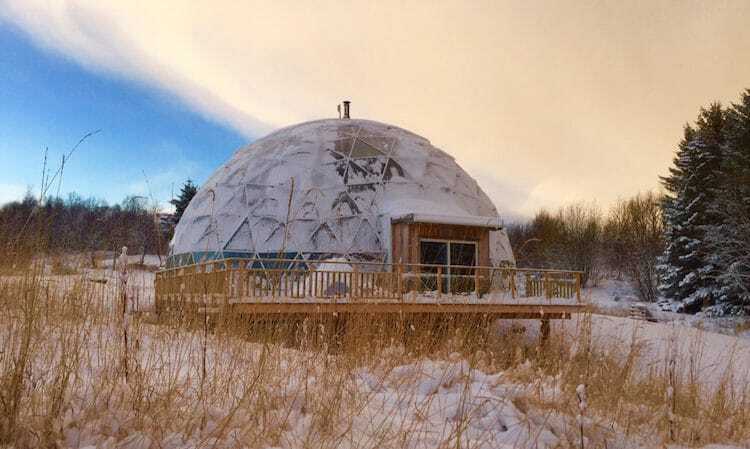 Placing the 25-foot-high dome around the five-bedroom, two-bathroom home gave the six-person family protection from strong winds and heavy snow loads, as well as cutting down on heating costs. 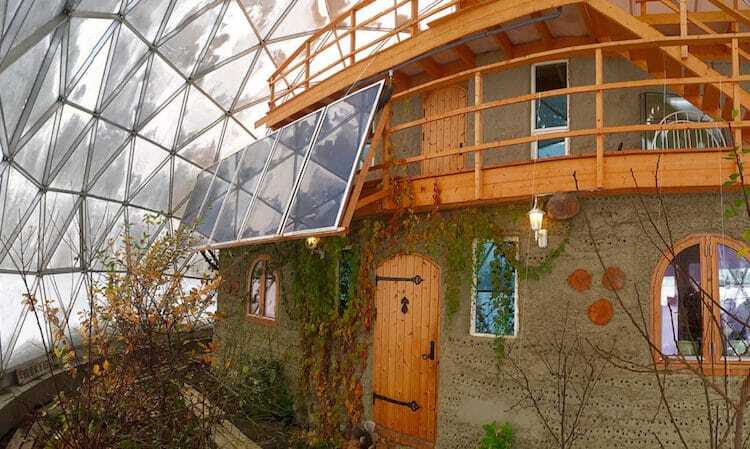 The geodesic dome, which also covers a garden area, gives the family the necessary greenhouse environment to grow much of their food. 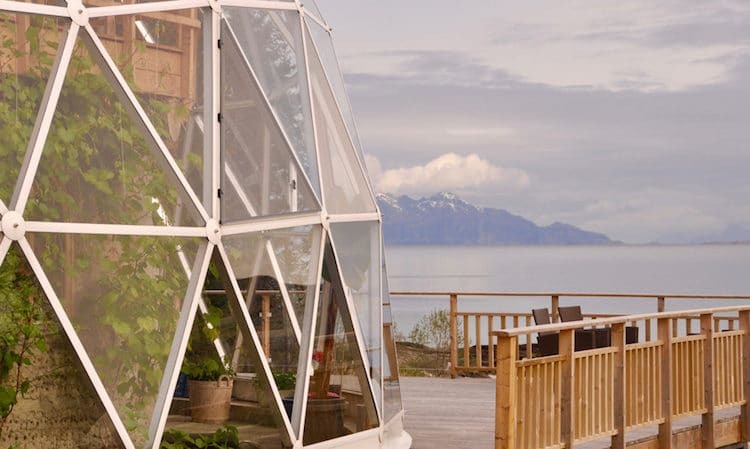 Apples, cherries, plums, apricots, kiwis, grapes, cucumbers, tomatoes, herbs, squash, and melons are just some of what they can grow in an area that is without sunlight for three months a year.